Look chic this weekend the easy way with this flattering jumpsuit. 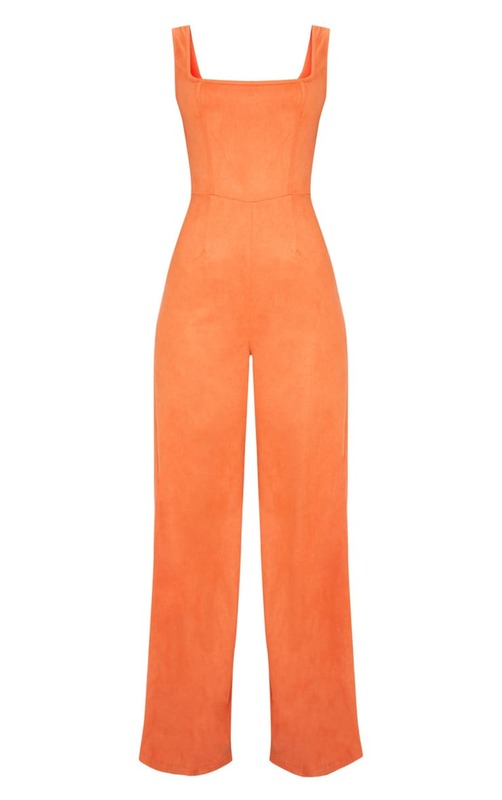 Featuring an orange faux suede material, square neck and wide leg fit. We love this teamed with gold strap heels and statement earrings for a picture-perfect look.